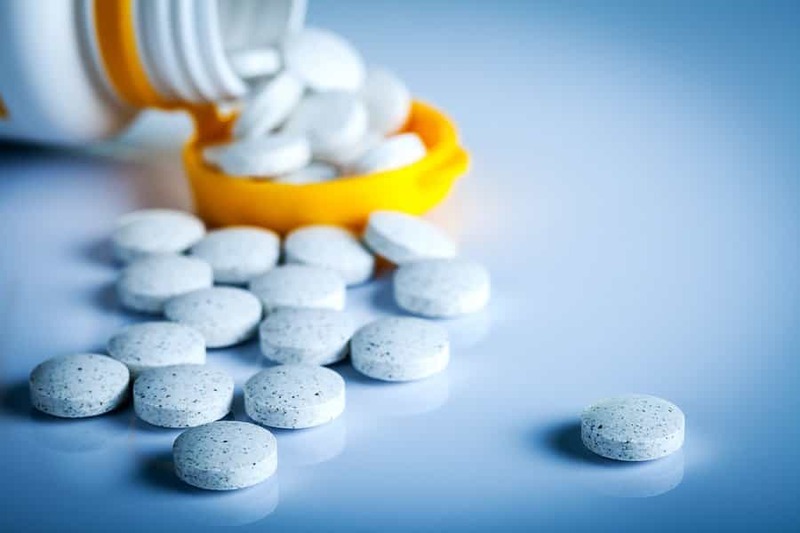 Vicodin (hydrocodone and acetaminophen) consists of two different medications used to treat chronic pain. The opioid or narcotic component of Vicodin consists of the synthetic opioid agonist hydrocodone and the other component, acetaminophen, is a nonprescription analgesic found in many drugs like Tylenol. The primary therapeutic use for Vicodin is to treat chronic pain or the pain that individuals experience following surgery. Medications like this result in individuals not feeling pain as intensely as they would otherwise, as the drugs affect the neurons in the brain that are activated when a person experiences an injury. The experience of pain is a warning signal that the person has an injury, and further injury may occur if the person does not pay attention to the injured body area. Narcotic medications dull the subjective experience of pain; they do not treat the injury associated with pain. Likewise, abuse of drugs dulls the subjective experiences of one’s life; however, they do not effectively address one’s personal issues. A side effect of narcotic medications is the experience of euphoria that occurs when one takes the drug. This euphoria is quite pleasing and stimulates a sense of wellbeing. Many individuals want to re-experience this stimulation. As a result, narcotic pain medications have a high potential for abuse. Individuals who use narcotic medications typically need to have the dosage increased over time to get the same pain-relieving effect that occurred when they first started taking the drug. This condition is known as tolerance, and it can occur with legitimate use of a medication. Because of their chemical composition, if an individual takes narcotic medications for a period of time, the person’s body can become physically dependent on the drug. When this happens, the body adjusts to the presence of the drug in the system. When the individual stops taking the drug, the body goes through a formal withdrawal syndrome that results in a number of unpleasant physical and psychological symptoms. The presence of both tolerance and withdrawal symptoms as a result of using a drug leads to a condition known as physical dependence. Being physically dependent on a particular drug is not by itself enough to classify an abuse or addiction issue; however, the symptoms of physical dependence are associated with addiction. Drugs that have a high potential for physical dependence also have a very high potential for abuse and addiction. Who Is Susceptible to Vicodin Abuse or Addiction? Experience relationship issues with parents, a spouse or significant other, other family members, coworkers, etc. Have close associations with others who abuse drugs or alcohol (e.g., parents, other family members, friends, etc.). The above factors are risk factors that place an individual in a higher category for the risk of developing drug or alcohol abuse. The presence of one or more of these factors does not guarantee that an individual will develop an abuse or addiction issue; however, it suggests that the probability that someone may engage in drug abuse is higher compared to individuals who do not express these factors. As individuals begin to develop tolerance to the drug, some of these negative side effects, such as constipation and nausea, may subside along with the feelings of euphoria, wellbeing, relaxation, and so forth. If the medication begins to lose its therapeutic effectiveness for pain control, physicians may increase the dosage, or they may add another medication. People who abuse the drug began to take higher and higher doses of the drug to achieve the same feelings of euphoria and wellbeing that the experienced in the initial stages of the drug abuse. As individuals begin to abuse the drug, they can develop high levels of tolerance that result in them taking regular doses of the drug that could be potentially fatal to individuals without this tolerance level. Moreover, the side effects of the drug may be amplified at higher doses, and the experience of withdrawal symptoms may occur very soon after one stops taking the drug. In the same way that professional athletes such as football players cannot see all of the possibilities that occur during the game because of their subjective and limited viewpoint, individuals who abuse drugs or alcohol often become blinded by their addictive behavior and do not freely admit the negative ramifications of their abuse or addiction. Like professional athletes, individuals with an addiction or abuse problem very often need a coach or third party to guide them to see their mistakes, offer potential positive choices, and assist them in understanding and changing their behavior. In addiction, the phenomenon of not realizing or admitting to the negative ramifications of drug abuse is often termed denial. It is not uncommon for those with an addiction or abuse issue to need outside help to see their negative behavior. A family member or close friend that the person respects can talk to the individual, or a group of concerned relatives and friends can do so in an intervention. Prepare: Write out what you want to express ahead of time. Try not to be confrontational: Simply accusing or confronting a person with an addiction or abuse issue often turns into an argument that did not solve anything. Communicate concern: Point out behaviors that indicate the person is experiencing negative aspects from drug use. Be understanding: Ask questions and then discuss the person’s responses/views. Point out the results of drug use: Highlight negative consequences that have resulted from drug use. Know your limitations: Because many individuals who abuse drugs such as Vicodin also engage in denial, it is important to remember that you are not responsible for changing the person. The best you can do is to provide your loved one with information regarding the situation and suggest that help is needed. The person must initiate the change and be committed to change. Since Vicodin is an opiate, medical detox is required for those seeking recovery. While medical detox does not constitute treatment on its own, it is often the first step in the recovery process. Most often, physicians prescribe medications to treat the physical and emotional symptoms of withdrawal and then slowly decrease the dosage of that medication over time as the individual adjusts (e.g., a common drug used for this purpose is Suboxone). At the same time, the individual will need to receive therapy to deal with emotional and psychological issues that contributed to Vicodin abuse. Therapy or counseling can be done on an individual or group basis, and many individuals recovering from abuse or addiction to Vicodin may engage in both group and individual therapy. Many find the use of support groups, such as Narcotics Anonymous, to be extremely useful. Cognitive Behavioral Therapy (CBT) principles are often used to treat individuals who are recovering from abuse or addiction issues. A good starting point is to find a therapist who specializes in addiction treatment. Oftentimes, therapists experienced in CBT are staffed at comprehensive addiction treatment programs. Most 12-Step and peer-support groups are not led by professionally trained therapists; however, many of the individuals in these groups have extended periods of sobriety and can offer assistance and help to struggling individuals. There is no “one-size-fits-all” approach to treating addiction. Most individuals in recovery find that they need to explore different options for therapy, 12-Step groups, and other forms of treatment until they find a situation that works for them. Formal addiction treatment, generally in an inpatient format, shows the greatest long-term recovery results for those struggling with Vicodin addiction.